Guess Who Lost The Go In The Go.For.It, signed Craig Davison limited edition print. 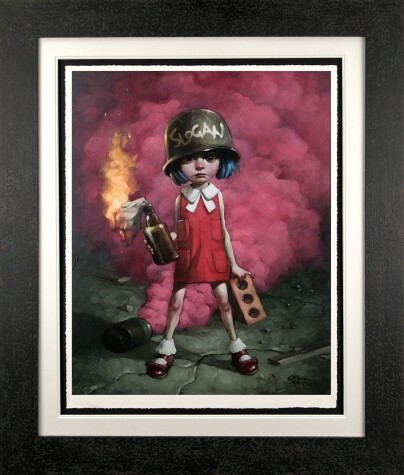 From artist Craig Davison's new collection, Rebel Without a Pause - a new direction for the artist. 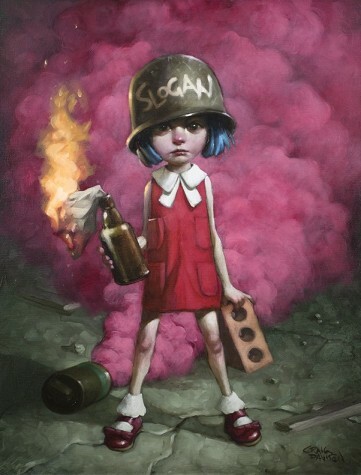 In Guess Who Lost The Go In The Go.For.It a young girl is ready to take on the world. As with Craig's other work, pop culture references are hidden beneath. Available as a Limited Edition giclee print on paper or Hand Embellished Canvas, both framed. Hand signed & numbered with certificate of authenticity. Framed Size 44" x 31"